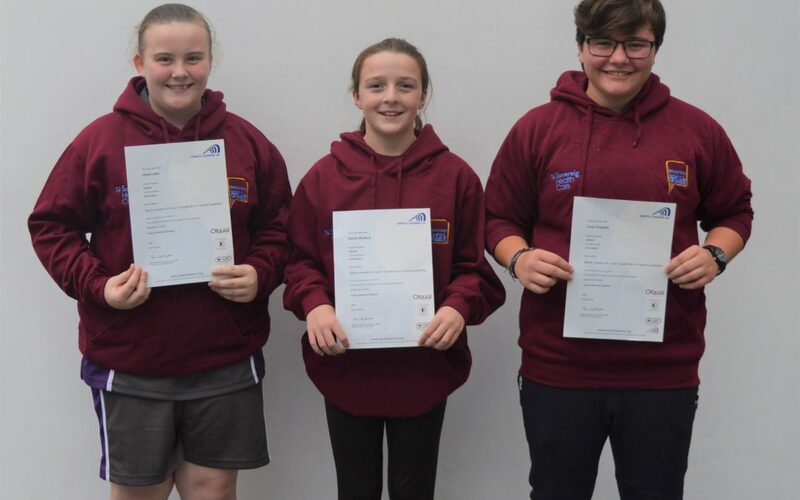 Twelve pupils at Tong Leadership Academy displayed their leadership capabilities by completing the Sports Coach UK Level 1 Sports Leaders Certificate. Pupils learnt that there are many vital coaching roles within sport available to them through this qualification. Over a six month period, Tong pupils completed the course which saw them working with local primary schools by leading their school games competitions. The participating Years 7-10 pupils showed their potential as young officials and were able to use sport as a vehicle to develop transferable skills which will also help them to grow as young adults. They also gained the opportunity to display what they had learnt about leadership by delivering a session to 30 local primary school children to conclude their qualification. 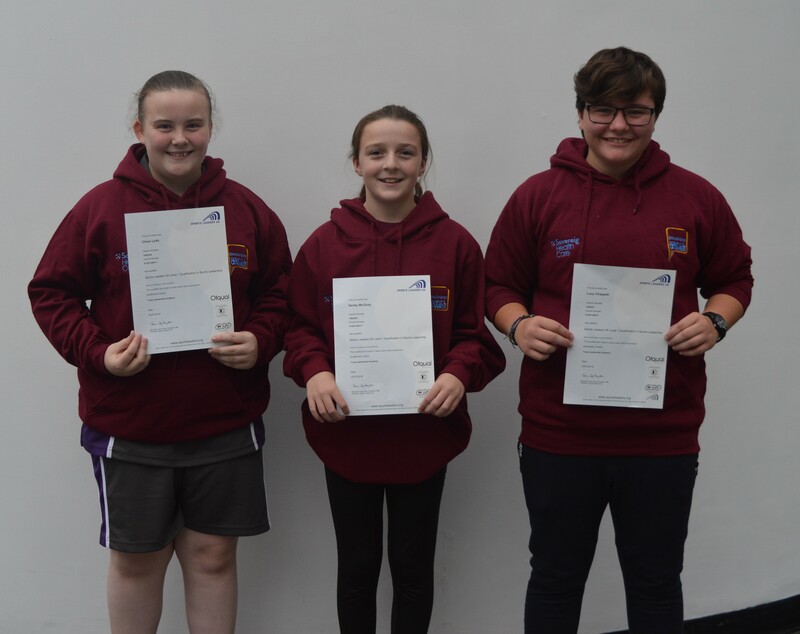 Pupils Chloe Leith, Denby McGinty and Lucy Chappell display their Sports Leaders certificates.